The Osun State Government has assured the envoys of some foreign countries who visited the state of workable Public Private Partnership that will create workable environment for business to grow. This, the government said, would not just strengthen the state’s economy, it would also enhance returns on investment. 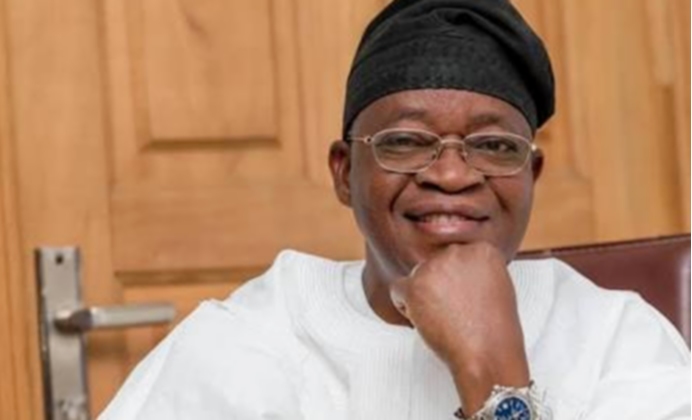 Governor Adegboyega Oyetola stated this on Wednesday while receiving the Venezuelan Ambassador to Nigeria, Mr David Valasquez-Caraballo and envoys from Israel, Cuba, Cote d’Ivoire and Republic of Benin. The envoys were among those on a two-day visit to Osogbo, the state capital, to attend the International Agriculture Technology Exhibition and Conference tagged ‘First Agrictech in Nigeria.’ The envoys were received on behalf of the governor by his Chief of Staff, Dr Charles Akinola and the Secretary to the State Government, Mr Oluwole Oyebamiji. Receiving the guests on behalf of the governor, Akinola said the state remained resolute to maximize her potential for greater productivity. Oyetola said the state was open to business as the state had mapped out modality to facilitate local and foreign partnership for positive changes across all sectors. He added, “We have just had a meeting with some ambassadors who have come to our state to discuss myriads of business opportunities and explore their potential as regards the need to strengthen bilateral relationship. “This administration is giving priority to agriculture, mining, tourism, information and communication technology to ensure proper diversification of the economy. “We had a very fruitful session with them; we have reached a compromise on the need to expand the window of business opportunity particularly in the areas of agriculture, mining, tourism, science and technology.” Earlier, Valasquez-Caraballo said his country was ready to collaborate with the Osun State Government to promote agriculture, mining and tourism. Valasquez-Caraballo, who described the agriculture exhibition as fruitful, rewarding and adventurous, said no effort would be spared to partner Osun towards actualising her set objectives.